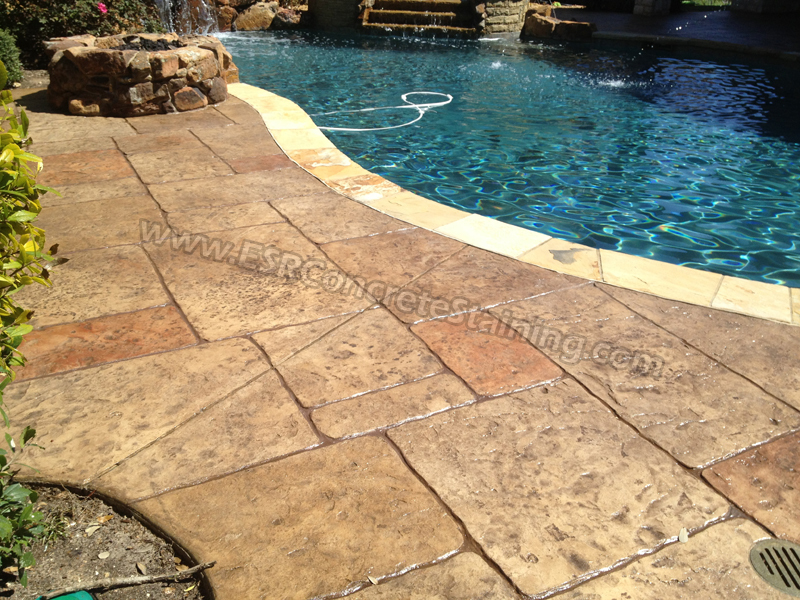 Stamped concrete is the best way to fix up your pool deck to give your backyard the ultimate finish! The beautiful elegance of natural stone at a better price! ESR Decorative Concrete Experts have skilled concrete artisans that have been installing decorative concrete for over 20 years!